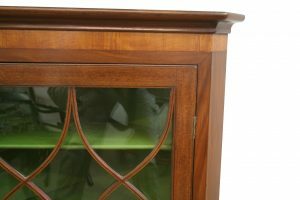 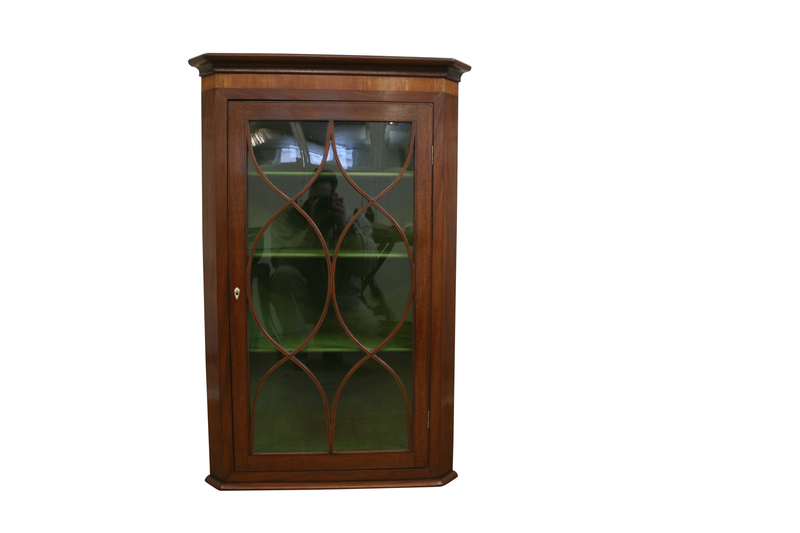 A Georgian mahogany hanging corner cabinet. 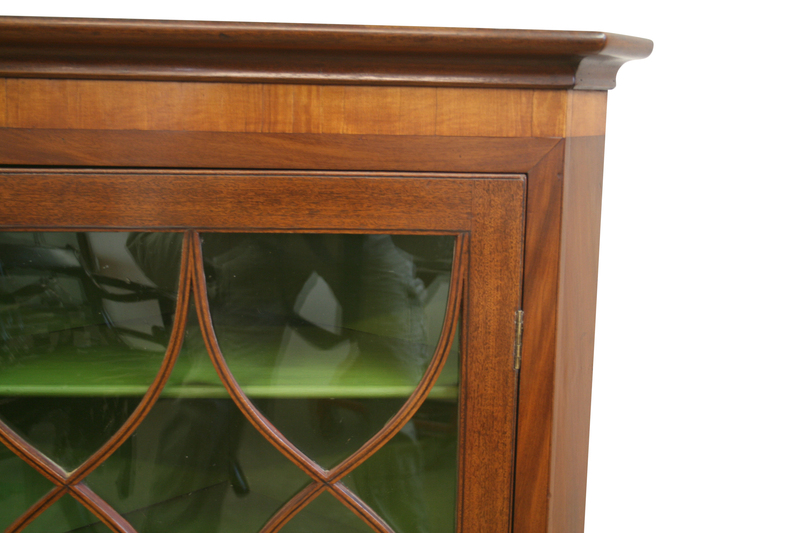 It has satinwood banding below the cornice. 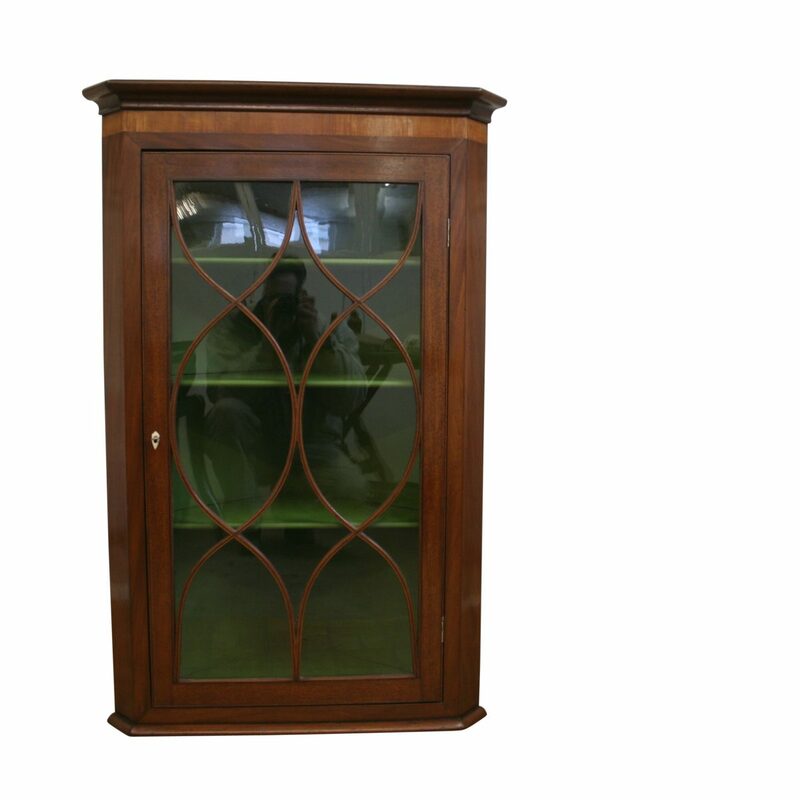 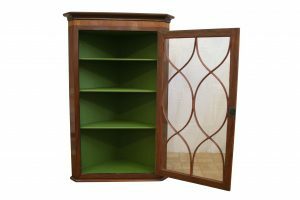 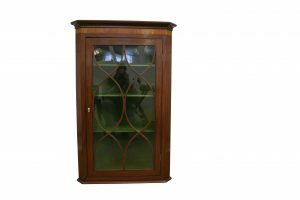 The door is fitted with an ivory escutcheon and has ebony lines set within the astragal moulding. 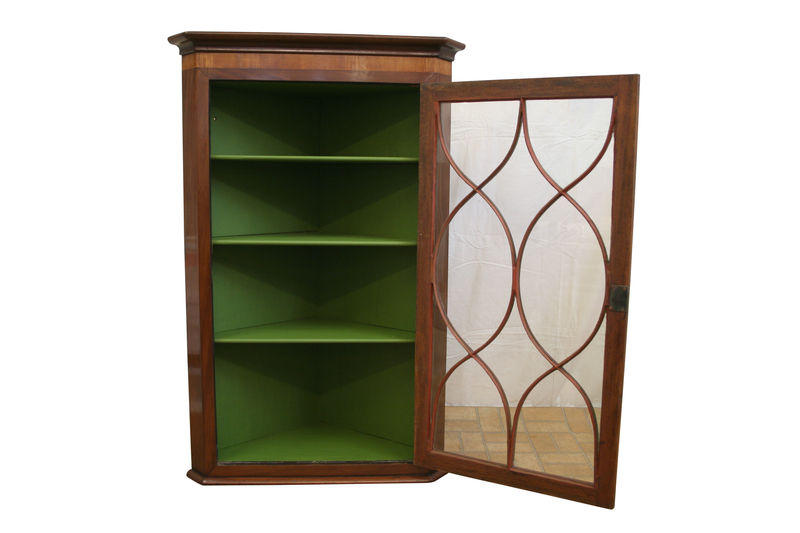 The interior has three painted shelves.